Autologin is an nice feature provided in VMware Workstation which you can configure once and you can automatically logged in to VM every time when you start the VM. 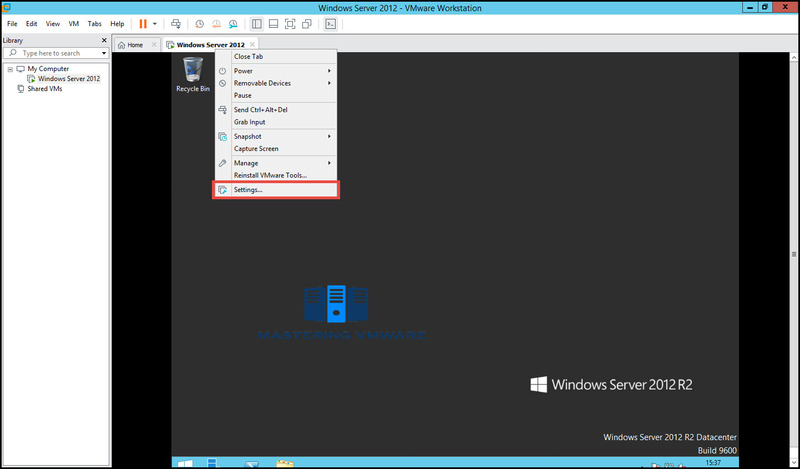 In this post we will see on how to configure autologin for windows server in VMware Workstation step by step. Autologin is an one time setup which requires system credentials to configure. 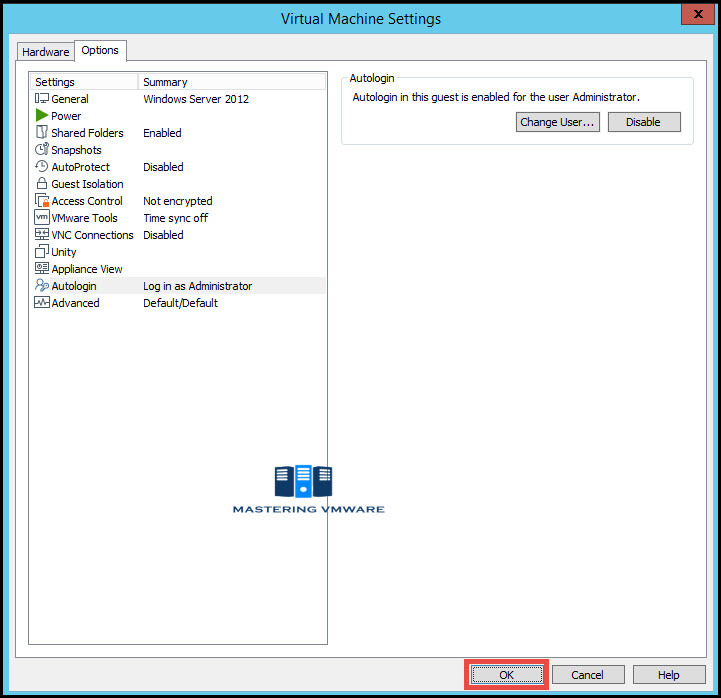 Once you setup autologin you don’t have to manually login to the vm every time you power on. I have found this feature quite useful so i thought to share with you. 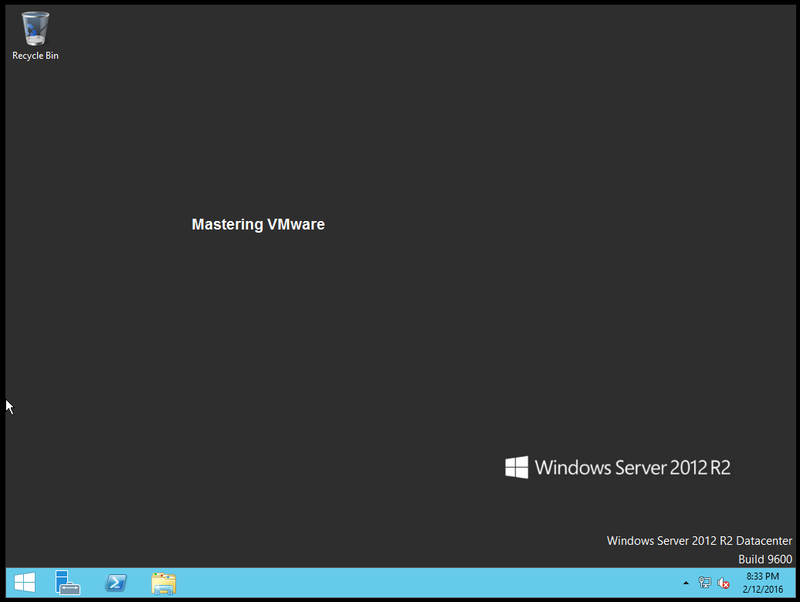 Autologin requires VMware Tools to be installed in the system so make sure you install VMware Tools. 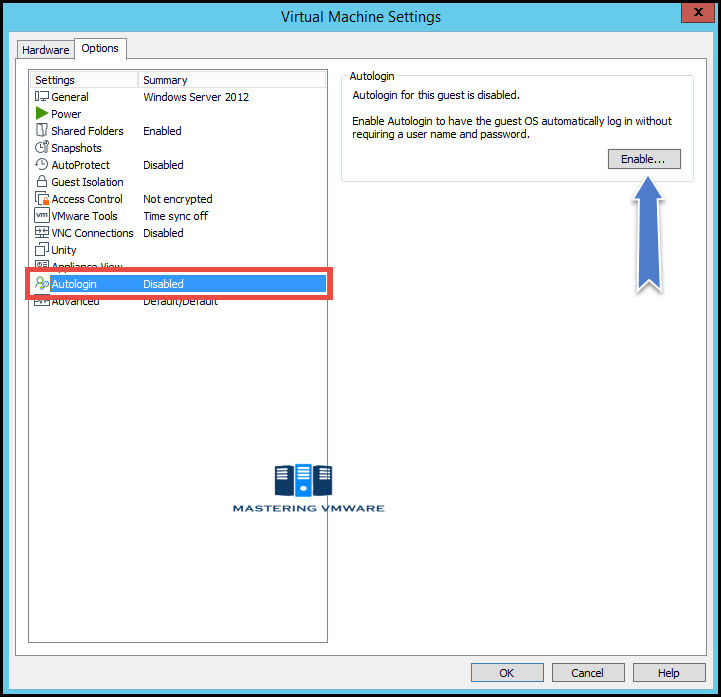 Select the VM for which you want to configure Autologin. Right click VM and go to Settings. Here you can see that Autologin is currently disabled. Click on Enable button to configure. Provide the login credentials for the Guest OS. As you can see that Autologin is enable and you can disable it from here or you can change the user if you want. 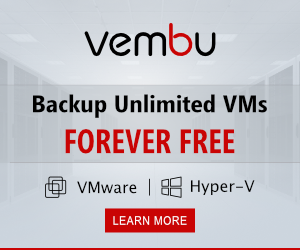 That’s it, Now you can try it by restarting the virtual machine and you can see that you are logged on automatically in the guest operating system. 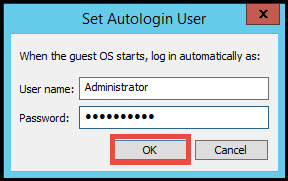 Using this way you can easily configure Autologin for the Windows Server. This feature is only supported in Windows Operating systems.